We have now selected 5 excellent teams to take part in the IDAPPS competition. We received varied and exciting Expressions of Interest in the IDAPPS competition, and are delighted to have attracted interest from a wide range of disciplines and experience. 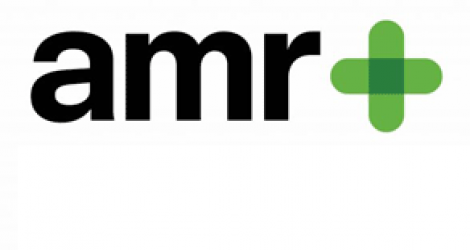 Napper Architects have brought together a team comprising a clinician dealing with AMR on a daily basis, a mathematician who has research experience in developing analytical methods for AMR and an interactive design expert. Spoonful of Sugar, Design Science and Erect Architecture have specific expertise in health psychology, applied design and improving public health through spatial design. Public Health England Primary Care Unit, University of Leeds and Letter g bring experience in developing resources for primary health care staff including pharmacists, and in typographic and graphic design. A team from the Universities of Nottingham and Birmingham combines biological science and science communication, built environment design with a focus on wellbeing, pharmacy and mindfulness and interaction design. CCD apply the science of human factors and ergonomics to create user-centred design solutions. They believe that designing for people starts with understanding their behaviours & motivations. Each of these teams will join us at a 2-day Ideas Lab on 30 April and 1 May 2018. Held at the University of Reading, this will include talks and presentations by members of the IDAPPS team to define the scope of the project. Colleagues from our pharmacy partner, Day Lewis, will be in attendance to talk specifically about the pharmacy that will host our competition winning entry. Pharmacy users will be invited to join us to collaborate in the design process, and the teams will develop their ideas in discussion with the project team, and with each other. We are looking forward to a busy and stimulating Ideas Lab. Congratulations to our teams! Next PostNext How can the work of the Vienna Circle help us today to understand antimicrobial resistance?